Clean a microfiber sofa by vacuuming the sofa, mixing a mild detergent solution, sponging the upholstery with the solution, and then drying the sofa with a hair dryer. You need a vacuum, mild detergent, a clean rag, a hair dryer and a sponge. Connect a soft-brush attachment to your vacuum, and then use the attachment to remove dust and crumbs from the upholstery. Avoid using a crevasse tool, since it can stretch and pucker the fabric. Mix a dilute solution using the mildest detergent you have available. Soak a clean rag in the solution, and then test it on an inconspicuous area of the sofa. Dry the tested area. 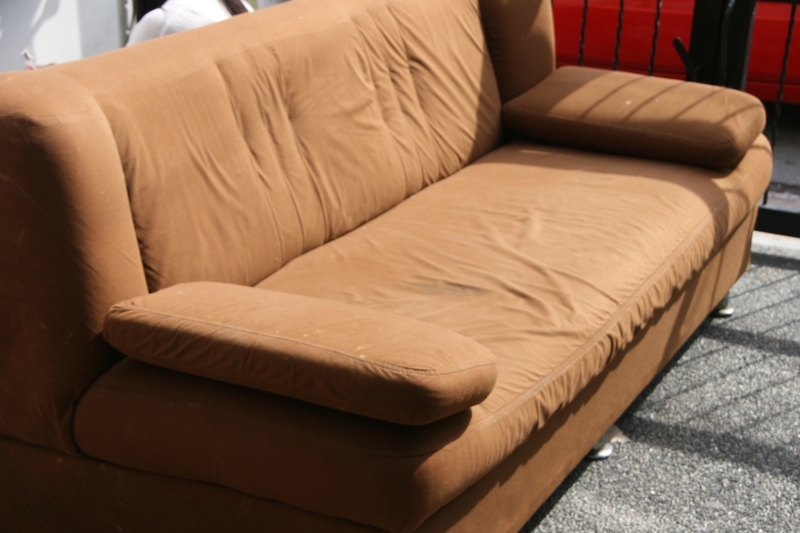 If the solution fails to clean the sofa, hire a professional to clean it instead. Soak a sponge in the solution, and then clean the sofa one section at a time. To prevent permanent water stains, avoid making the fabric too wet. After sponging the sofa, dry the fabric with a blow dryer on the lowest heat setting. Once the sofa is completely dry, vacuum it one more time to restore nap to the upholstery.